The National Institute of Standards and Technology (NIST) has eliminated funding for the continued operation of time/frequency standard stations WWV and WWVH in its Fiscal Year 2019 budget. [8/31 update:] The proposal also calls for eliminating funding for WWVB, on 60 kHz, which provides time data for so-called "atomic clocks." 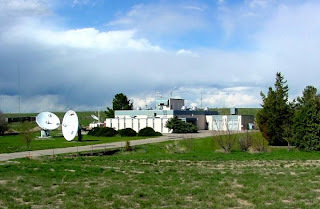 Tens of thousands of radio amateurs and other users of the shortwave spectrum rely on these stations as sources of accurate time and precise frequency measurement, as well as a wealth of propagation data. CQ urges its readers and friends – and anyone else who finds value in the continued operation of WWV and WWVH – to sign one or both petitions and especially to contact your representatives in Congress to explain the need for these stations to continue to operate. Congress has the last word on the federal budget and can modify department proposals as it sees fit.